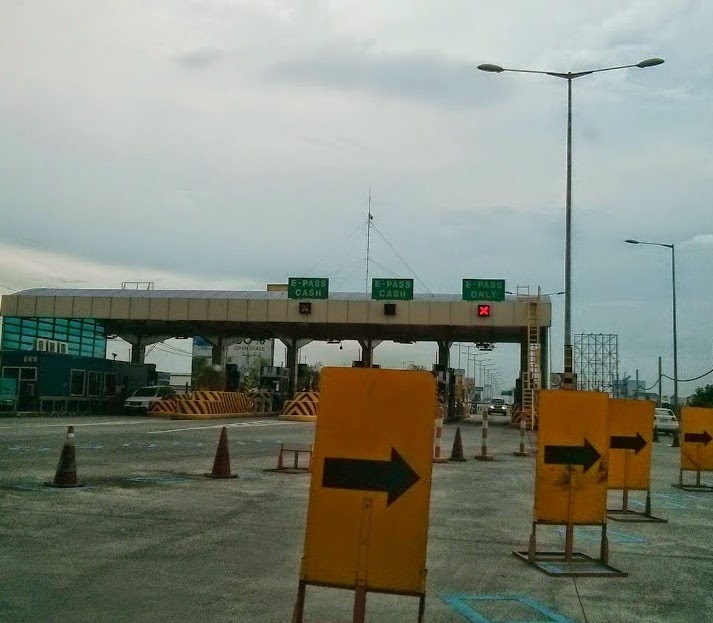 If you've passed along NLEX, SLEX or Skyway, you've most likely seen those exclusive lanes reserved for e-Pass. The e-Pass lanes are dedicated for vehicles with the electronic toll collection transponder attached to their windshield and pre-registered with the e-Pass system associated with a prepaid account. Each time a car passes through an e-Pass lane, the transponder is scanned and any toll fee that needs to be paid will be automatically deducted from the account. This is not new technology as it is also being used in several other countries aside from the Philippines. In the Asian region, countries such as Singapore with their ERP (Electronic Road Pricing), Thailand & China use Eelectronic Toll Collection (ETC). If you frequently pass through any highway which requires toll, the e-Pass can definitely benefit you. Here are 10 reasons why you can definitely benefit from using an e-Pass. It's automated! The fastest you could pass after paying (assuming you have exact change and the attendant can count fast) is 10 seconds. It only takes 1.5 seconds for e-Pass to scan your account and deduct the toll fee from your account. It's paperless! If you take the highway twice a day (roundtrip) and take the same route everyday, that's a total of 60 receipts a month. Compare that to no receipts at all and you've also saved the environment by not accumulating paper. Express lanes! Depending on which toll gates, there are at least 1 to 2 dedicated lanes exclusive for e-Pass vehicles. Long lines could easily build up at the regular lanes due to the time it takes for each vehicle to pay, receive change, and get a receipt. Vehicles going through e-Pass lanes just pass through in seconds! No need to stop! You need to come to a complete stop to pay a tollbooth attendant. With e-Pass, you only need to slow down until your e-Pass scanner is recognized. So you don't need to start from 0 kph. Avoid paying accidents! - In fairness to tollgate attendants, I haven't experienced any discrepancies when given change from payment. I'm talking about accidents like handing over a bunch of coins and accidentally dropping them, or paying a bill not holding a firm grasp and suddenly the wind blows sweeping your one thousand peso bill with it. Imagine the inconvenience for you and all the cars behind you angrily waiting for you to move. Definitely not a situation you'd want to be in. No money, no problem! No e-Pass, problem! - As long as you have sufficient balance in your e-Pass account, you don't need any cash to use the toll highways. If you entered a tollgate without an e-Pass and without money to pay, you'll actually be forced to pull over. And just where will you find an ATM or person to meet you to lend you money when you're at a highway exit? Bonus challenge if that happens to be around midnight when you have no one to turn to. Not very good odds. Reload at convenient locations! - There are several places to purchase e-Pass loads to add to your account. Some convenient locations are gas stations, malls and even online through ATM! If you go to Glorieta in Makati City, there's even a dedicated ATM-like machine just for purchasing and loading e-Pass accounts. If you want a totally seamless and automated way of paying, you can fill out a form which will automatically charge your credit card with a reload value of your choice once your balance goes below P500. Easy budgeting! - http://epass.com.ph/ is the official website for the e-Pass. Several online features include checking balance, loading account and updating account details. When you buy an e-Pass kit, there's also an option to send a monthly breakdown of your tollgate history and charges. Automatic Check-ins! - Can't remember where you went on a certain date? You could check the e-Pass SOA (Statement of Account) sent to your e-mail at the start of the month which contains a historical trail of toll exits you've been to all time-stamped. If you can't figure out where you were 2 Saturdays ago, may be the e-Pass history saying that you exited Alabang-Filinvest at 12 midnight would give you a clue. Get to your destination faster! - The main benefit is saving time from lining up and paying. In worst cases, that process can take 30 minutes. Why wait that long if you can pass a tollgate in a minute or less. During rush hour situations, every second counts. I'm a firm believer of good use of technology and the e-Pass is definitely worth investing in. For more details on e-Pass, visit https://epass.com.ph/, and follow @ePassPhils on Twitter and https://www.facebook.com/EPassPhilippines on Facebook.